I worried I’d look big-headed writing this blogpost, but ZookeeperKevin asked me to do so separately from my AAS one to encourage anyone reading this who is thinking of applying for astronomy courses. This morning I got an idea for a way to start: the UKRC is asking you to nominate someone for inspiring women and/or girls into science. Well, I’ve got a personal nomination right here: Galaxy Zoo. In April 2010 I helped organise the She is an Astronomer conference, which Hanny also attended. There were several talks full of statistics and stories, some historical, some modern; some about problems, some about initiatives . . . I gave a talk about the power of the internet in getting people into disciplines they wouldn’t have encountered otherwise – such as, in my case, citizen science and astronomy. My message was intended to be: there are more recruiting grounds for astronomers than straightforward academia; perhaps more women will join the profession through citizen science. And men, of course – since Waveney is now doing just that! It’s long frustrated me that I’ve been unable to understand much of scientific journals or to do much with databases like CasJobs. I’d like to go further than popular science. And the AAS conference opened up my curiosity like a bursting dam. I’d loved astronomy since I was little, but since May I have just been dying to know more. And feeling that it is within my grasp. Anyway, I applied for a masters in astrophysics as soon as I got home (a masters is a postgraduate course, not as major as a PhD, but I hope to go on to do a PhD in galaxies or astrochemistry). Last Sunday morning I received an e-mail back. Odd for a Sunday but I bet they were hunched over their desks on a Saturday night, groaning that they hadn’t got the selections done by Friday afternoon, fuelled on fourteen cups of corrosive coffee – or something like that. Anyway – result: unconditional offer! It’s at Queen Mary University in north east London. These are the course modules – I can’t wait! I’ll be doing the course part-time as I’ll need a job and doubtless have a lot of maths to catch up on. I’ll hopefully be able to organise more zoo meet-ups from London too. I hope that anyone else who’s been thinking they’d like to study astronomy formally will give it a try. If you think you haven’t time, or you’re not clever or well-informed enough – don’t rule it out. A lot of things that look scary turn out to be acronyms for simple concepts, for example. More to the point, ignore all the cultural depictions of academia as something set aside for inhuman people. Just give it a go. Prof. Meg Urry is a professor of Physics and Chair of the Physics Department at Yale University. Her research concerns supermassive black holes: how and when they grew, how they inject power to their surroundings, and how they interact with their host galaxies. Meg was born in the Midwest region of the U.S. and moved to the Boston area as a teenager. After high school she went to college nearby, at Tufts University, where she double majored in mathematics and physics. Meg then took a postdoctoral position back in Boston, at the Massachusetts Institute of Technology (MIT), in Claude Canizares’s group. After MIT, Meg moved back to Baltimore for a second postdoctoral position, at STScI, now in a new building, with 200 employees. (When she left JHU 3 years earlier, STScI had only a handful of employees housed in the JHU Physics building.) She also married Andy Szymkowiak, whom she met at Goddard. Three years after returning to STScI, she became an Assistant Astronomer on the tenure track there, rising through the ranks to tenure and then full Astronomer. She had her two daughters, Amelia and Sophia, while an Assistant Astronomer, after which (too late to benefit her own family) she agitated for better parental leave policies, onsite daycare, and a lactation room. She was the prime organizer, with Laura Danly, of the first Women in Astronomy meeting, held at STScI in 1992, which gave rise to the Baltimore Charter. For her day job, she managed the group of research assistants who helped staff and visiting scientists use Hubble and later ran the Science Program Selection Office, which determines what observations HST will do. Meg really enjoyed the proposal solicitation and review because it involved hundreds of scientists from around the world, engaged for a few intense weeks in reviewing and ranking exciting new ideas for Hubble science investigations. But Meg was really born to teach. She loved being a Teaching Assistant in graduate school and a Recitation Instructors at MIT. She even took a 6-week detour from graduate school to teach physics to Air Force personnel at Ramstein Air Force base in Germany. Her students were talented non-commissioned officers who needed the Physics plus lab credit to qualify for Officer Candidate School, and she loved teaching them physics: lecture every morning, labs every afternoon, and help sessions every evening. Physics, physics, physics – and all of it fun. In 2001, Meg moved to Yale University, roughly midway between Boston and Baltimore, thus ending her oscillations along the East Coast. There she directed the newly created Yale Center for Astronomy and Astrophysics, establishing a prize postdoctoral fellowship program, co-leading a Key Project in the Yale-Chile collaboration, and getting Yale involved in the Keck telescope consortium. She taught concept-based Introductory Physics, introducing “clickers” and peer-to-peer learning, and she created a new astrophysics course to introduce science majors to active frontiers in the field, namely, exoplanets, black holes, and the accelerating Universe. She developed a lively research group, with graduate students Jonghak Woo, Ezequiel Treister, Jeff van Duyne, Brooke Simmons, Shanil Virani, and Carie Cardamone (a blogger on the Galaxy Zoo forum); postdoctoral associates Eleni Chatzichristou, Yasunobu Uchiyama, Kevin Schawinski and Erin Bonning; and numerous wonderful undergraduates. 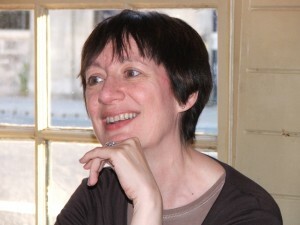 In 2007, Meg was appointed Chair of the Physics Department, and was appointed to a second term this year. Her daughter Amelia is now a freshman at Yale and her daughter Sophia is a junior at Hopkins high school in New Haven. In 2008 I hired a new postdoc, Kevin Schawinski, who co-founded Galaxy Zoo with Chris Lintott. When Kevin told me about the concept and what had already been accomplished, I was deeply impressed. It is a brilliant idea and the results are mind-boggling. Galaxy Zoo has greatly improved the quality of galaxy classification and has made possible investigations that could never have been done previously. In the past two years my group has used Galaxy Zoo results in several recent studies, led by Kevin Schawinski (now an Einstein Fellow in my group) and Carie Cardamone (a graduate student finishing her thesis with me). We have published on Green Peas (Cardamone et al. 2009), the phasing of black hole growth and star formation in the host galaxy (Schawinski et al. 2009), and the dependence of black hole growth on host galaxy morphology (Schawinski et al. 2010a). None of these results would have been possible without Galaxy Zoo. My favorite (because I still don’t understand the results) is the paper led by Kevin on the different modes of black hole growth in elliptical and spiral galaxies (Schawinski et al. 2010a). When Kevin suggested separating active galaxies (galaxies whose central supermassive black hole is actively accreting and thus producing lots of non-stellar light) by morphology, I frankly didn’t think the investigation would turn up anything interesting. Boy, was I wrong! We found that patterns of activity differ markedly in ellipticals and spirals, with high-mass black holes growing the latter and mostly low-mass black holes growing in the former. The trends in ellipticals may make sense if mergers are important in triggering AGN activity (see another paper from our group, Schawinski et al. 2010b, that uses Galaxy Zoo classifications of mergers ) but the results for spirals still have me puzzled. It’s a great, fun challenge to understand what’s going on. One of my main jobs was to use the Palomar Sky Survey prints to find optical counterparts to radio sources from the Jodrell Bank high declination survey. I kept a notebook carefully describing the fields around each radio source. (Since the spatial resolution of the Jodrell Bank radio telescope was not as good as that on the PSS prints, there were sometimes more than one candidate counterpart, often offset from the nominal position.) Two memorable things happened as a result of that work: I saw the first gravitational lens, 0957+561; a reproduction of my neat handwriting noting “two blue stellar objects of equal magnitude about 5 arcseconds from the radio source” appears in a paper by Dennis Walsh in 1979, which recounted its discovery. Of course, I had no idea I was looking at a gravitational lens – I didn’t even know what they were at that point. But it was nice nonetheless to be a part of history. The second funny thing was that Porcas realized, halfway through the summer, that he could get an unbiased estimate of the false detection rate of optical counterparts if he fed me some random, meaningless positions. Sure enough, I started finding more and more supposed radio sources with no optical counterparts. (In reality, these were just blank-sky positions.) I can’t remember if I noticed the dramatic change in identification rate or if Richard finally confessed his secret scheme – at the time, I was a bit chagrined to be duped so easily, but now I see it as an excellent research protocol. In any case, my summer at NRAO was what got me into astronomy. It was fun, the people were friendly (weekly volleyball games were a favorite, as was watching the Olympics with my new astronomer friends, and it was amazing to realize people earned a living doing something so interesting. After that experience, I was going to do astronomy and astrophysics if at all possible. What (if any) do you think are the main barriers to women’s involvement in Astronomy or Physics or science generally? It took me quite a while to accept that the playing field is not yet level for women in science. As an undergraduate and graduate student in an era when discrimination was supposedly over, women’s liberation was an established movement, and laws had been passed to chip away at discriminatory practices, I frankly didn’t expect any problems and I didn’t notice any. True, I was usually the only woman in my physics classes but at some level, I reveled in the distinction. (Even as a kid I had been motivated by the idea of being the “first woman,” as in first woman astronaut or first woman president. The first of those took place long after it should have, and we’re still waiting for the second.) But at first I didn’t detect any discrimination and I didn’t particularly feel the need to network with other women in science. When I see young women today with those attitudes, I find myself hoping that in their case, it will be true, by the time they are my age, that they have suffered no discrimination – it might happen, especially in Astronomy, which is more female-friendly than Physics. And I don’t think it’s a bad thing to be oblivious, as I was – it probably kept me from dissipating energy fighting the machine. But it was inevitable I would take up “the cause.” As a postdoc, the lack of women started to bother me. Where were the other women who had gotten physics degrees? At MIT, I was the only female postdoc in space science, out of dozens. Meanwhile, people had been telling me for years that, as a woman, I would benefit (the implication was, unfairly) from affirmative action – I should have no trouble getting into grad school, getting a postdoc, getting a faculty position, whatever – because all the universities would be eager to hire women. When people say this today, as they often do, I have to laugh. I sure do wish it were true but 30 years in physics and astronomy have shown me, instead, the huge pile of female talent that goes wasted every year. Fewer women are sought after as speakers, assistant professors, prize winners, than men of comparable ability. I have seen talented women ignored, overlooked, and sometimes denigrated to the point where they abandon their dreams. It sounds harsh but I simply report what I have seen. Men, too, leave the profession, but the numbers don’t compare. The percentage of scientists who are women drops at every level, until there are too few women to make a statistically significant measurement. Hmm, sorry, this has turned into a lecture. Didn’t mean to do that. So let me keep it simple: there is discrimination, and it is done by all of us, men and women both, quite unconsciously for the most part. There is a large body of research in the social science literature (which, unfortunately, natural scientists rarely read) documenting the natural tendency of all of us – people raised in a society where men dominate leadership roles in most fields – to undervalue women. I hope young women don’t experience what I did – and there’s a good chance they won’t – but every young woman or under-represented minority scientist should learn about this “unconscious bias” so that, should they ever find themselves getting discouraged or feeling inadequate as scientists, they will correct for the effect of a harmful environment and recognize their own considerable achievements and talents. Or just call me! I’ll be happy to try to reassure them. It’s probably not them, it’s that they are trying to do science in an environment that is unwittingly toxic. I have definitely had role models, although often I didn’t recognize it at the time. My father was a Professor of Chemistry at Tufts University and my mother had been trained as a zoologist. They met at the Museum of Science and Industry in Chicago, where they were docents (my mother used to give presentations on the “invisible woman,” a transparent human form whose internal organs and systems were visible) and where both were students at the University of Chicago. Years after the decision to study science, I realized that living with two scientist parents, I couldn’t help but think like a scientist. Much as I enjoyed other subjects like English or History, the scholarship in those fields felt too arbitrary, whereas science has as its focus Nature, which is what it is. That is, scientists may form hypotheses about Nature but they cannot choose what to believe – they simply discover it from observation. My thesis research was done as a member of the X-ray astronomy group at Goddard, where my de facto advisor was Richard Mushotzky, now at the University of Maryland. My first postdoc at MIT was in Claude Canizares’s group. Like my father, both Richard and Claude were important role model for how to be a professor, mentor students, and run a research group. I have mentioned male role models (my dad, Mushotzky, Canizares) – they definitely taught me how to be a professor – but the women were probably more important just because there were so few. They taught me how to keep going: Marie Curie, Helen Crawley, Anne Kinney, Vera Rubin, Margaret Burbidge, Andrea Dupree, Martha Haynes. I don’t know. If it’s something I can imagine, it’s probably not very different from what we know/understand now. The most interesting question is probably something I can’t even think of. Take Hanny’s Voorwerp as an example: Galaxy Zoo volunteers found this, not professional astronomers. Who knows what you guys will come up with next? I can’t wait to see. This post completes our She’s an Astronomer series on the Galaxy Zoo Blog run in support of the IYA2009 cornerstone project of the same name (She’s an Astronomer – we are listed on the She’s an Astronomer website in their Profiles.). In total we’ve interviewed 16 women involved in Galaxy Zoo – 8 zooites (or volunteers) and 8 researchers (or professional astronomers). All of the interviews were conducted in English, but we also posted native language translations for 4 of the particiants (Spanish, German and Dutch). Julia Wilkinson (“jules”, Galaxy Zoo volunteer. Frequent forum poster, and member of irregular and HVS projects). Prof. Meg Urry (Professor at Yale, Zookeeper Kevin’s current boss!). Hope you’ve enjoyed it. I still plan to write some roundup posts summarizing the series if I can find time here in baby land! Elizabeth Siegel lives in California in the USA. She is 57 years old and has worked as a registered nurse for the last 9 years after going back to college at 42 to do a nursing degree. She has two grown up kids – a son in college and a daughter who works in the aerospace industry. I found out about Galaxy Zoo through the science news page at Yahoo two years ago as the project was beginning. It was only on the page for one day, but I remembered the name and was able to find it on my own. My main involvement has been classifying galaxies. Specifically: Galaxy Zoo 1 and 2, mergers, barred spirals, AGN-clouds, and Irregular spirals. I have found a few asteroids and some possible gravitational lensens I did and OOTD on polar rings. I am an active member on the galaxy zoo forum, and have posted pictures in the pure art thread, not to mention one or two galaxies.. I’ve recently started working on the Solar Storm Watch, Supernova Zoo, and the Moon Zoo Beta test. Between these projects I have contributed around 200,000 classifications and spent almost 4000 hours on Galaxy Zoo. I love looking at the galaxies, learning about them and discussing them with fellow zooites from around the world online or in person through group meets like the one we had in September 2008 at Chabot Observatory in Oakland California (West Coast Meet Ups Forum Thread). I am not a Astronomer so I really cannot answer that question. I do known as volunteers we are providing the Astronomers loads of information which would have taken them a long time to research otherwise. Of course there is Hanny’s Voorwerp that the scientist and zooites would like to learn more about. Personally it’s all the galaxies I like. I find Polar Ring galaxies to be the most interesting to me since there are so few of these type galaxies. If Astronomers could learn more about these galaxies that would indeed be cool. I do not have any particular role models in Astronomy but I do admire the way the Galaxy zoo team has taken the original Galaxy zoo project and is now expanding it to the Zooniverse. I would like to invite everyone to come and participate in these wonderful zoo projects. We’re almost done – this is the penultimate entry, and last Zooite we will be interviewing. Just one more researcher to go. Dr. Manda Banerji is a postdoctoral researcher within the Institute of Astronomy at the University of Cambridge where she works on distant galaxies in the Universe. Originally from India, Manda moved to the UK almost 10 years ago to complete her A-levels and never dreamed at that point that she would fall in love with the UK so much that she’d still be here today! She completed her undergraduate degree at the University of Cambridge in 2005 and her PhD at University College London in 2009. In between Manda also spent a year working as a research scientist at the National Physical Laboratory. When not doing research, Manda loves traveling the world and enjoys good food, good wine and the company of good friends. If she ever finds more hours in the day (or less of a need to sleep), she hopes to take up dancing again and start working on her first novel! I saw the Galaxy Zoo papers on astro-ph of course when they were first coming out. However, I only decided to get involved later when my PhD supervisor, Prof. Ofer Lahav mentioned it to me while I was at UCL. We were working together on using machine learning algorithms such as artificial neural networks to estimate the redshifts of galaxies from their colours. Ofer mentioned that he had used the same neural network tool to classify galaxies with collaborators in the early nineties. He also knew Chris Lintott from having been his PhD co-supervisor at UCL so we decided to start working together on applying machine learning to the Galaxy Zoo data. I led the machine learning paper which showed that the Galaxy Zoo classifications can be used as a “training set” in order to supervise the learning of automated morphological classifiers such as artificial neural networks. Once these networks have been “trained” using the human classifications, they can be used to automatically classify much larger data sets. The best thing about being involved in Galaxy Zoo is the mass appeal of any work carried out on the project. I have always believed in the importance of communicating science not just to fellow researchers but also general members of the public so that they hopefully find it interesting and feel inspired to pursue some aspect of it themselves. The Galaxy Zoo project provides a wonderful forum through which to communicate interesting science to many many members of the public while at the same time getting them involved to contribute to the projects themselves. I think one very unique aspect of Galaxy Zoo is the sheer size of the data set that has now been classified by eye. This means we can actually make a lot of statistically significant statements about the nature of our Universe. For example, what fraction of elliptical galaxies don’t live in overdense regions of the Universe? What fraction of them are blue? In addition, the discovery of unusual classes of objects such as the Green Peas will pose as yet undefined questions. This to me is the most fun part of doing science. You often don’t know what the best questions are to ask before you’ve stumbled upon an answer! I first became interested in astronomy when I was about ten years old. I still remember the day actually. We were visiting the Kennedy Space Center in Orlando on a family holiday in Florida. I was so inspired and fascinated by everything I saw and just contemplating the vastness of space and the many things we didn’t know about it, I couldn’t imagine not wanting to find out more. Ever since that day I have wanted to be an astrophysicist. I should also mention that were it not for my brilliant physics teacher at sixth form college, I probably would never had the confidence to pursue an academic career. He would spend most of his lessons making us read New Scientist and watching Horizon and I think this is when I developed an appetite for scientific research and began to appreciate the creativity and independence it affords. I think there probably were many barriers to women in astronomy ten maybe twenty years ago. However, I do feel that today this is much less of an issue. For example, I don’t think astronomy is any longer a male dominated subject and the situation here is much better than in other areas of physics. That is not to say that there aren’t many barriers to pursuing an academic career. For example the need to move around frequently for postdoc positions often means people have to make very tough choices. However, in my experience there are many men who worry about this too and many women who don’t so I don’t think this is a barrier that is specific to women by any means! Having said that, one problem that I do think faces women in astronomy today is the lack of female role models. There are very few female astronomers in very senior academic positions and even fewer who have chosen to have a family. This does sometimes make me doubt if I can pull off both having a successful academic career as well as a family because there are so few examples of women who have actually achieved this! I hope this will change though in years to come. I think there are so many people in astronomy (both men and women) who are inspiring in different ways that it’s very hard to single out just a few of them. I’ve learned different things from all the different people that I have interacted with so far in my research career and they’ve all been valuable lessons to learn! We’re almost done – just one more Zooite and one more researcher to come in the series! Hannah Hutchins lives in England with her Grandmother and her hamster, “Hubble”. At just 15, she’s by far the youngest entrant in our “She’s an Astronomer” series, providing us with some perspective from the next generation of astronomers. Hannah is homeschooled and currently studying for her IGCSEs. As well as being a frequent contributor to the forum, she is the co-creator of the Galaxy Zoo APOD. As well as Galaxy Zoo she’s involved in all sorts of astronomy projects, including the Young Astronomers blog. On the BBC News Website in August 2008. I read an article about Hanny’s Voorwerp and when they mentioned Galaxy Zoo I was immediately interested! I went onto the website and was hooked from then onwards. I classify galaxies, chat on the forum and I write Object of The Days (OOTD). Alice got me into writing the OOTD’s, which is when I discovered that I loved to write. Knowing that I’m helping science. It’s fantastic because I don’t have to be an adult in university doing astrophysics or something to be able to contribute to science like this. It has also turned my interest in astronomy into a passion and I could never live without it. I’m now determined to go to university to study astrophysics. It’s also great to be part of such a friendly community! I finally found friends at the zoo who shared my interests. There are so many to choose from! I have a soft spot for the Voorwerpjes though, It’s amazing how AGN (active galactic nuclei) belt out all that radiation which then ionize huge gas clouds, it creates some spectacular images. My earliest memory of having an interest in astronomy was sitting on my bed when I was around four years old flicking through an astronomy book called ‘Spacewatching: The ultimate guide to the stars and beyond’, I remember staring in wonder at pictures of nebulae and reading aloud the titles in the book. My grandparents bought it for me at a sale along with a book about Comets after I pestered them for them. I think those where my very first astronomy books. I’m not really sure, but I know from my experience of school (though rather a short experience, I only lasted a couple of terms in secondary school for instance because I wasn’t happy with the education I was getting) that there is sometimes an attitude where it is bad to have an interest in science and maths, they have to be viewed as so very boring. I think that is because it’s taught so badly at school, it shuts down any interest. There are so many fantastic people in astronomy, but I don’t really have a role model. Still to come in the series – a few more Galaxy Zoo volunteers and researchers. We’re not quite done yet! Anna Manning is a Masters student in Astronomy at the University of Alabama (she’s working under the supervision of Dr. Bill Keel on the overlapping galaxies project). She moved to Tuscaloosa, AL (where she lives with 2 sorority sisters) after completing her undergraduate degree at Clemson University in South Carolina. In her free time she enjoys painting, photography, and scrapbooking. At 25 she’s the youngest of our professional (or future professional) astronomers to be interviewed. In the future she would like to either continue her work in astronomical research or perhaps move into space exploration. She also really enjoys the public outreach part of Galaxy Zoo and thinks it would be nice to contribute to that in her future career. I first heard of it when I started my research in Grad School with Dr. Keel at the University of Alabama. I’ve mostly worked with Dr. Keel to create a catalog of overlapping galaxy pairs. We’ve been to Kitt Peak to observe some of the objects which Dr. Keel has blogged about. I like being a part of public interest in astronomy. I am still amazed by the amount of people genuinely interested not only in astronomy, but in helping with research. I can’t even begin to imagine what the zoo can do. I think the zoo will be behind many discoveries. On field trip in middle school we spent a day at space camp in Florida which began my general interest. In high school I really enjoyed Physics class and decided to major in it in college where I started doing actual research in astronomy. This topic actually sparked an interesting conversation in my office. A female office mate and I were discussing how we don’t think there have been any obstacles for us. A male office mate brought up that he believes it is easier to be a woman than a man in astronomy. So I think this is something that changes based on the person and I’m thankful that I have been fortunate in the universities I’ve attended. I have learned so much from so many people – and often people that I didn’t know had any interest in astronomy at all! Our final entry (for now) in the series of foreign language translations of She’s an Astronomer posts – here it is: Vardha’s Interview auf Deutsch! 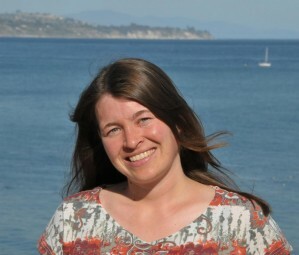 Dr. Vardha Nicola Bennert ist als Wissenschaftlerin (“postdoc”) an der Fakultät für Physik und Astronomie an der Universität von Kalifornien (UC) in Santa Barbara tätig. Ursprünglich kommt sie aus dem Ruhrgebiet in Deutschland und hat 2005 auf dem Gebiet der Astrophysik von aktiven Galaxien an der Ruhr-Universität Bochum promoviert. Sie hat danach ihre erste Postdoc-Stelle an der Universität von Kalifornien in Riverside in den USA angenommen, bevor sie 2008 nach Santa Barbara gegangen ist. Das wissenschaftliche Hauptinteresse von Frau Dr. Bennert ist die zentrale Region von “aktiven Galaxien” (dem schwarzen Loch und den sogenannten “narrow-” und “broad-line regions” direkt um das schwarze Loch herum) und ihre Beziehung zur Muttergalaxie. Sie arbeitet gerne in der wissenschaftlich-stimulierenden Umgebung der UCSB und genießt es, in Santa Barbara zu leben – besonders weil die Sonne immer scheint und das Meer so nah ist! Aber sie vermisst auch ihre Freunde und Familie in Deuschland. In ihrer Freizeit erkundet sie die Natur Südkaliforniens, aber sie ist auch auf einer inneren Reise, in der sie Meditation in ihr tägliches Leben integriert. Wie haben Sie vom Galaxien Zoo gehört? Durch Zufall! Ich war an der UC Riverside und hatte einen Beobachtungsaufenthalt am 3m Shane-Teleskop des Lick Observatoriums, als Professor Bill Keel meine Chefin, Professor Gabriela Canalizo, fragte, ob wir bei der Gelegenheit ein Spektrum von “Hanny’s Voorwerp” aufnehmen könnten. Ich willigte ein, ging beobachten, hatte mehrere klare Nächte und konnte ein Spektrum des Objekts aufnehmen. Ich war sofort von dem Objekt beeindruckt, weil mir das Spektrum sehr bekannt vorkam – ähnlich den “narrow-line regions” von aktiven Galaxien, die ich intensiv während meiner Doktorarbeit studiert hatte, nur dass es bei diesem Objekt keinen Hinweis auf einen aktiven galaktischen Kern im Zentrum gab! Wie sind sie hauptsächlich im Galaxien-Zoo-Projekt involviert? Ich habe bei der Reduktion, Analyse und Interpretation der spektroskopischen Daten geholfen, die in der Entdeckungsveröffentlichung des “Voorwerps” integriert wurden. Später, durch einen weiteren Zufall, hat das Team nach jemandem gesucht, der Erfahrung in der Reduktion von HST Bildern hat, welche ich habe. Deshalb habe ich HST Bilder von sogenannten “grünen Erbsen” reduziert und analysiert, die im Galaxien-Zoo-Projekt entdeckt wurden. Dies wurde ein Teil einer weiteren Veröffentlichung, bei der ich bei der Interpretation der Ergebnisse geholfen habe. Was mögen Sie am Meisten am Galaxien-Zoo-Projekt? Es ist großartig, dass so viele Amateurastronomen involviert sind und dass das Projekt so eine starke Komponente der Öffentlichkeitsarbeit hat. Für mich ist Öffentlichkeitsarbeit nicht nur eine Pflicht als Wissenschaftlerin, da ich im Wesentlichen durch Steuergelder bezahlt werde, sondern auch eine Tätigkeit, die mir sehr viel Spaß macht. Ich liebe es zu sehen, wie Menschen sich für Astronomie und die Wissenschaft begeistern, mit der ich mich beschäftige. Was ist Ihrer Meinung nach die interessanteste astronomische Fragestellung, die das Galaxien-Zoo-Projekt helfen wird zu beantworten? Das Galaxien-Zoo-Projekt hat seinen Wert darin bewiesen, dass es seltene und interessante Objekte wie das Voorwerp findet, durch visuelle Inspektion von Bildern – ein grosser Vorteil von Menschen verglichen mit Robotern! Ich denke, das ist es, was der bleibende Wert des Galaxien-Zoo-Projektes sein wird, nicht die Antwort auf eine spezielle Fragestellung, für die das Projekt ins Leben gerufen wurde. Diese seltenen Objekte haben das Potential, uns neue und überraschende Einsichten zu geben. Seit wann interessieren Sie sich für Astronomie? Schon als Kind liebte ich es, die Sterne zu betrachten und war fasziniert von den Büchern von Professor Stephen W. Hawking, auch wenn ich zu der Zeit nicht allzu viel davon verstand… Jedenfalls hielt mich das nicht davon ab, eine wissenschaftliche Karriere auf diesem Gebiet zu verfolgen. Im Gegenteil, ich fand es immer spannend, an die Grenzen meines Verstehens zu kommen und ständig neue Dinge zu lernen. Was (wenn überhaupt) denken Sie sind die wesentlichen Barrieren für Frauen in der Astronomie? Mir gefällt die konkurrenzbetonte Art nicht, in der wissenschaftliche Ergebnisse dargestellt werden. Ich persönlich denke, dass es für Frauen schwierig sein muss, Kinder zu haben, während sie eine astronomische Karriere verfolgen, da beide Aufgaben sehr viel Zeit verlangen. Aber natürlich gibt es viele Frauen in der Astronomie, die bewiesen haben, dass es geht. Haben Sie irgendwelche Vorbilder in der Astronomie? Mein Doktorvater, Professor Hartmut Schulz, hat mich sehr beeinflusst. Ich sah in ihm immer einen dieser “altmodischen” Professoren, die nicht nur viel über Astronomie wissen, sondern auch sehr fundierte Grundkenntnisse haben und immer großen Wert darauf legen, selber zu denken. Leider verstarb Professor Schulz im August 2003. Ich erinnere mich gerne an ihn als meinen “Doktorvater” im wahrsten Sinne des Wortes. Mein derzeitiger Chef an der UCSB, Professor Tommaso Treu, inspiriert mich ebenfalls ständig auf vielfältige Weise – er ist nicht nur sehr klug und effektiv, sondern auch immer fröhlich, voller Energie, und hilft seinen Studenten, ihr Potential voll auszuschöpfen. This German translation is of course part of our effort to be international! Els Baeten (ElisabethB) lives in Belgium, in the old university town Leuven. She studied medicine for a few years, but then decided that it was not what she really wanted to do. She now works as a secretary in an SEO company. When she isn’t busy doing anything Zoo-related she can be found at festivals, concerts, exhibitions and the theatre. She also loves reading and spending time with her family, friends and their children. In July 2007 I was browsing the site of New Scientist and I came across an article about a new Internet based project called Galaxy Zoo. I immediately thought: this has to be good! At the first look I got hooked and I have been actively involved in most parts of the project ever since. I’ve been involved in most of the projects. First of all classifying galaxies in Galaxy Zoo 1 and 2 of course, and I also really like the special hunts for mergers, peas and voorwerpjes. My contribution to the Peas paper was finding lots of them. And it was really great to see my name mentioned in that paper! I’m also rather fond of Gravitational Lenses and if we could get some of them confirmed that would be great news indeed. For the moment I’m having a lot of fun with Merger Zoo and the Barred Spirals. And when I really want to relax I go asteroid-hunting. Wouldn’t it be great to have an asteroid named Galaxy Zoo! I love the fact that people from every background are able to make a real contribution to scientific research. It’s also great to be part of a team of enthusiastic people from all over the world. And I’d never expected to meet so many new friends. I think there will be lots of questions solved with the results of Galaxy Zoo. Especially questions that nobody thought of in the first place, questions that pop up when a large amount of curious people sift through large amounts of data. In this respect Galaxy Zoo also offers new perspectives for other areas of scientific research. When I was young I saw all around me that science was a part of everyday life. Both my grandfathers were avid readers who loved sharing their knowledge about nature and everything with their grandchildren. I watched the first moon landing in my pyjamas together with my entire family. My sister, brother and I had a really big book with the history of the earth and also with lots of pictures of the solar system and the stars. I also have fond memories of watching Cosmos with Carl Sagan with my family. And our parents let us stay up very late during clear summer nights to watch the stars and the occasional meteor. So stars and planets and everything that is out there have always been a part of my world. In my school, a traditional all girls school, I never had the impression that science and maths weren’t for girls. They were just subjects some of us were good at. But in general, a scientific career or any career for that matter, is still more difficult to achieve for a woman. But as you can see with the Galaxy Zoo community there are lots of women involved of all ages and backgrounds. So I think we’re getting there, eventually. I don’t think I would use the word ‘role model’ but I really admire the Zookeepers and other astronomers involved for coming up with this great idea and continuously thinking of new ideas and projects. I especially admire the way they share their knowledge with us and the value they attach to our efforts. Finally I’d like to thank my sister, Veerle, for helping me out with this blog post and Edd for the pictures. Still to come in the series – more Galaxy Zoo volunteers and researchers, it might be December 2009 – but we’re going to keep going for a few months more! Our first She’s an Astronomer translation posted at the same time as the interview! Thanks Els. Els Baeten (ElisabethB) woont in België, in de oude universiteitsstad Leuven. Ze studeerde enkele jaren geneeskunde maar besloot uiteindelijk dat dit toch niet echt was wat ze wou doen. Ze werkt nu als secretaresse in een herverzekeringsmaatschappij. Wanneer ze niet bezig is in de Zoo kan je haar vinden op festivals, concerten, tentoonstellingen of in het theater. Ze houdt ook van lezen en brengt veel tijd door met haar familie, vrienden en hun kinderen. Waar hoorde je het eerst over Galaxy Zoo ? In juli 2007 zag ik een artikel op de site van New Scientist over een nieuw internet project : Galaxy Zoo. Mijn eerste reactie was : Dat ziet er goed uit ! Vanaf het eerste moment was ik helemaal verkocht en ik ben sindsdien actief betrokken bij de meeste projecten. Wat zijn je belangrijkste verwezenlijkingen binnen Galaxy Zoo? Eerst en vooral natuurlijk het classificeren van sterrenstelsels in Galaxy Zoo 1 en 2. En ik vond de speciale zoektochten naar botsende sterrenstelse (mergers), Peas en Voorwerpjes heel leuk om te doen. Mijn bijdrage aan het Peas paper was dat ik er een heleboel gevonden heb. En je naam vermeld zien staan in een wetenschappelijk paper doet je toch wel wat. Ik ben ook erg geïnteresseerd in zwaartekrachtlenzen en ik hoop echt dat enkele van onze vondsten the real deal zullen zijn! Voor het ogenblik heb ik het naar mijn zin met Merger Zoo en de Barred Spirals (balkspiralen). En als ik echt wil ontspannen ga ik op asteroïdenjacht. Zou het niet geweldig zijn : een asteroïde die Galaxy Zoo heet! Wat vind je het leukste aan Galaxy Zoo ? Ik vind het fantastisch dat mensen van totaal verschillende achtergronden kunnen bijdragen aan wetenschappelijk onderzoek. Het is ook geweldig om deel uit te maken van een team van enthousiaste mensen van alle uithoeken van de wereld. En ik had nooit gedacht dat ik zo veel nieuwe vrienden zou vinden. Wat is de meest interessante astronomische vraag die Galaxy Zoo zal kunnen oplossen ? Hoe en wanneer kwam je voor het eerst in contact met astronomie? Als klein kind zag ik overal rondom mij dat wetenschap bij het leven van iedere dag hoorde. Mijn twee grootvaders waren gretige lezers die hun kennis over en liefde voor de natuur met veel enthousiasme met hun kleinkinderen wilden delen. Ik zag de eerste maanlanding in mijn pyjama, samen met de hele familie. Mijn zus, broer en ik hadden een heel groot boek over de geschiedenis van de aarde, ook met een gedeelte over het zonnestelsel en de sterren. Ik heb ook hele mooie herinneringen aan Cosmos van Carl Sagan waar we met de hele familie naar keken. En op heldere warme zomerdagen lieten onze ouders ons heel laat opblijven om te kijken naar de sterren en een toevallige meteoor. Sterren en planeten en alles wat er rondom ons bestaat zijn altijd een deel van mijn wereld geweest. Wat zijn de (eventuele) obstakels voor de deelname van vrouwen in de astronomie ? Toen ik naar school ging, nochtans een traditionele meisjesschool, had ik nooit het gevoel dat wetenschappen en wiskunde niets voor meisjes waren. Het waren gewoon vakken waar sommige meisjes goed in waren. Maar in het algemeen is het toch nog steeds moeilijker voor vrouwen om een wetenschappelijke carrière, of eender welke carrière, uit te bouwen. Maar zoals je kan zien zijn er in de Galaxy Zoo heel wat vrouwen van alle leeftijden en achtergronden. Dus zullen we er wel komen, uiteindelijk. Heb je rolmodellen in de astronomie ? Ik zou het woord rolmodel niet echt gebruiken maar ik bewonder de Zookeepers en de andere betrokken astronomen voor het bedenken van dit geweldige idee en de manier waarop ze telkens weer nieuwe projecten aanreiken. Ik bewonder heel speciaal de manier hoe ze hun kennis met ons delen en het belang dat ze aan onze bijdragen hechten. Tenslotte zou ik nog graag mijn zus Veerle willen bedanken voor haar hulp bij het schrijven van deze blog post en Edd voor de foto.